BACK IN STOCK! 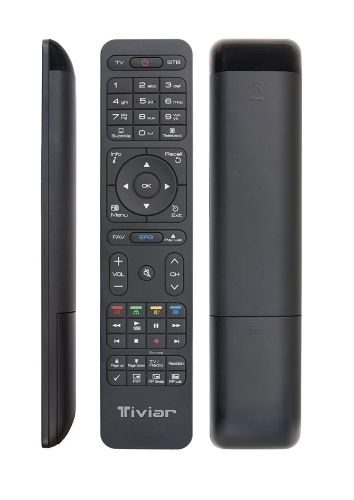 Tiviar Alpha+ HD Enigma 2 Triple tuner only £99! High spec! Low price! Thread: BACK IN STOCK! 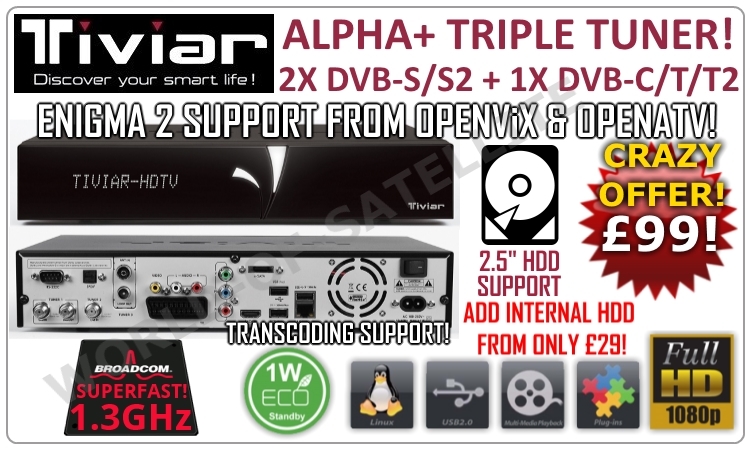 Tiviar Alpha+ HD Enigma 2 Triple tuner only £99! High spec! Low price! Tiviar Alpha+ Plus, amazing high spec! Massive spec at a low price! 2x Satellite DVB-S/S2 + 1x Hybrid DVB-C/T/T2! Internal SATA 2.5" HDD Facility! Add internal HDD from only £40! Broadcom Dual Core 1.3GHz CPU BCM7356! 512MB Flash + 1GB Ram! Enigma 2 support from OpenViX & OpenATV!